*A healthy balance of probiotics can help inhibit the overgrowth of harmful bacteria and promote good digestion, absorption of nutrients, regularity, and immune support. Ultimate '10' combines Lactobacilius and Bifidobacterium strains for complete digestive support throughout the entire intestinal tract. 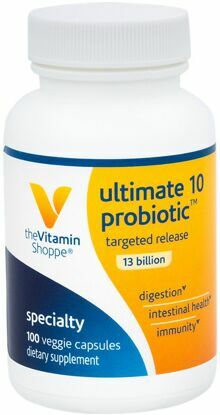 Ultimate '10' can also help re-colonize good bacteria.